Crust: Crumble Tennis biscuits with the help of a rolling pin or food processor. Combine crumbs with butter and press into a pie dish. Bake for 5 minutes in a preheated, 180 degrees Celsius oven. Remove and allow to cool. Filling: Mix the condensed milk and lemon juice together. Add egg yolks and lemon rind and pour into the pie crust. Topping: In a clean bowl, whisk the egg whites and cream of tartar together until stiff, then add the sugar gradually until well blended. Spoon the meringue mixture over the filled pie, using a fork to make swirls. Bake in a pre-heated, 180 degrees Celsius for about 30 minutes. 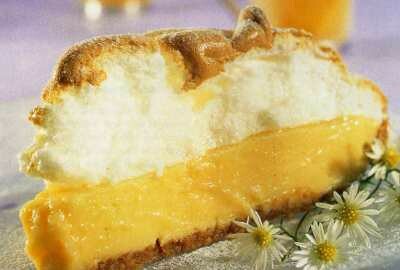 Reduce heat to 100 degrees Celsius and continue to bake until the meringue is crisp on the outside. This should take about 15-20 minutes. Allow to cool and serve. Hath the LORD as great delight in burnt offerings and sacrifices, as in obeying the voice of the LORD? Behold, to obey is better than sacrifice, and to hearken than the fat of rams.